If this year’s election cycle has taught me anything, it’s that I was woefully unaware of how insidious gender bias is in this country. Many difficult conversations wait in the wings as a woman steps into global focus as the leader of the United States. 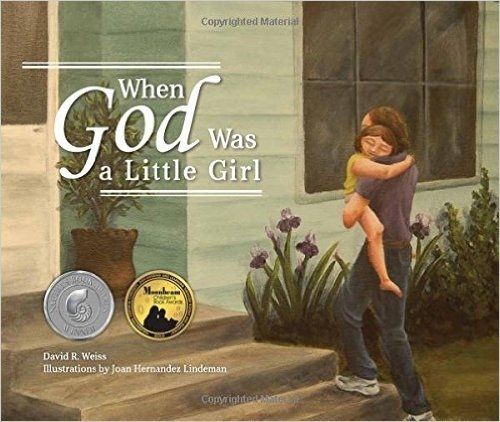 When God Was a Little Girl seemed, at first, like a difficult conversation waiting to happen; a children’s book that tells a creation story as if God was not only a child, but female too. Weiss immediately takes the unique narrative and runs with it. 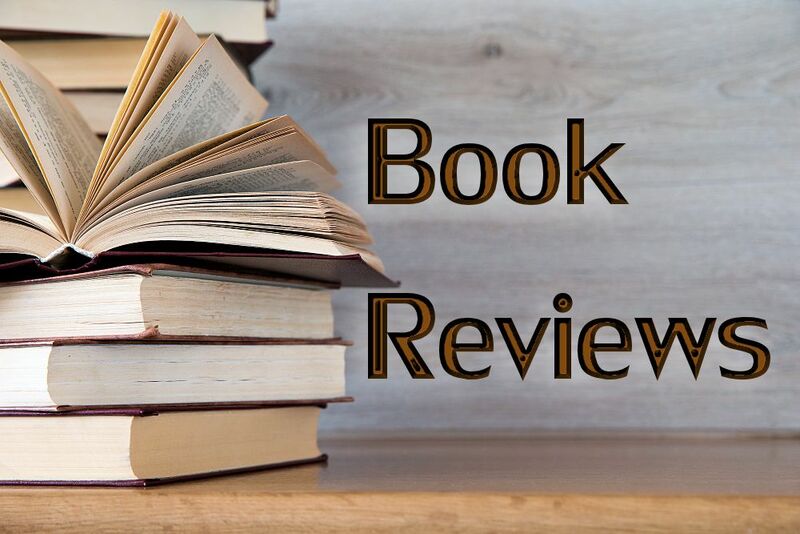 The creation story becomes a gentle, lilting tale about feelings, colors, and music, as a little girl joyfully creates a diverse and beautiful world. Weiss’s tale is visually depicted with bright colors and images of children of various ages and ethnicities, created by illustrator Joan Hernandez Lindeman. The eye-catching illustrations include smiling girls that emulate the bliss of a little girl creating something new and special. The rich palettes used in the illustrations will easily catch the eyes of young readers and draw them into the story. Although girls are the primary focus of both the story and the illustrations, boys are not left out. Once God creates human beings, girls and boys are depicted as sitting, working, and playing together in harmony. The focus is on their equality in this story, as opposed to focusing on their gender differences. 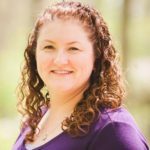 There is a sense of inclusion in When God Was a Little Girl that I wasn’t expecting, especially as someone who was raised with little religious education. The biblical creation story is technical, even in versions written specifically for children. Weiss’s retelling still focuses on God in the act of creating, but the active verbs are incredibly relatable for children: giggling, singing, painting. There is no implied assumption that the reader knows the biblical story, and no requirement that the reader practice a particular faith. The story is of creation out of love, rather than about creating something from a place of power. This focus on love carries beyond the creation of the world, and into the dual loving relationship between God and each of us. Weiss writes “God made us to be little echoes of the giggles that she felt already before there was anything at all. And when we live as the Echo of God, we say ‘I love you’ right back to her, and to everything else, just like I did to you.” This addition is stark in its gentleness, especially compared to the end of the biblical creation story of God as singular entity, surveying his work on a day of rest. Is that duality somehow more palatable if God is female? I’m not sure. Looking at God as a parent, either “Father” or “Mother,” definitely impacts my perception of our relationship. “Father” feels like a being that holds authority and offers love conditionally, while “Mother” feels kinder, gentler, and more relatable. It doesn’t surprise me, then, that the ending of Weiss’s story feels so gentle and loving, even maternal, even though it was written by a man. I am grateful for that, especially when I read other religious stories that feel judgmental and exclusionary. My own interpretation of the book, as a children’s librarian, is that it would be a joy to read aloud to a group, or to share one-on-one with a child. The conversational tone lends itself well to partner reading, with one reader saying the father’s lines and one reader taking the child’s lines. Hearing the story might lead to discussions about creativity and love, but might not lead to a deeper understanding of the divine feminine. Rather than being discouraging, however, that fact is key to the success of When God Was a Little Girl. It assumes that children are not already tied to the belief that God is male and, thus, their imaginations can easily envision God as female, as well as a child. It’s as if this story represents a new normal in perceiving a power greater than ourselves. Related: Visit the book’s website here.